Since my last update the number of Grilse entering the system and being caught has improved dramatically. It’s like a breath of fresh air to see good numbers of sparkling silver grilse. The majority of fish are now also being taken off the river. We had a nice drop of rain on Friday night and through Saturday, so the river was in lovely order and it showed in our catches. 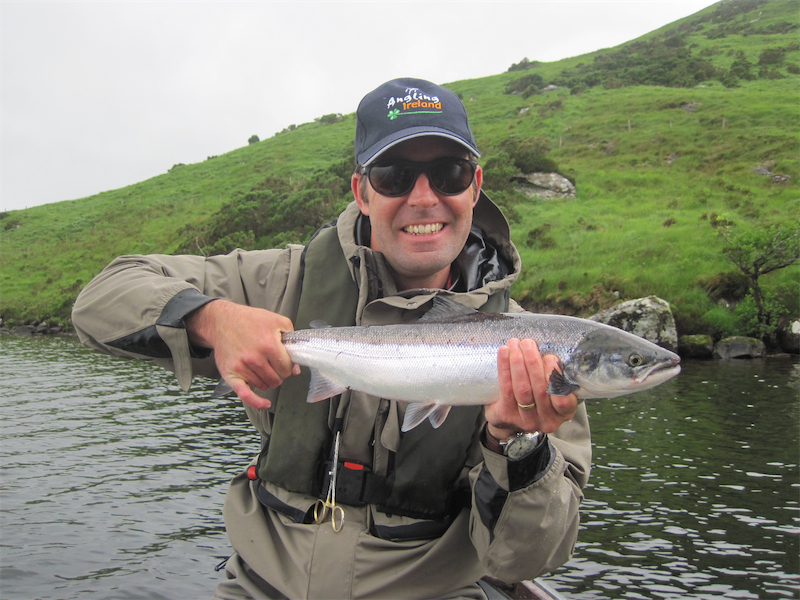 We landed 8 fish on Saturday, 6 off the river and 2 off Fin. 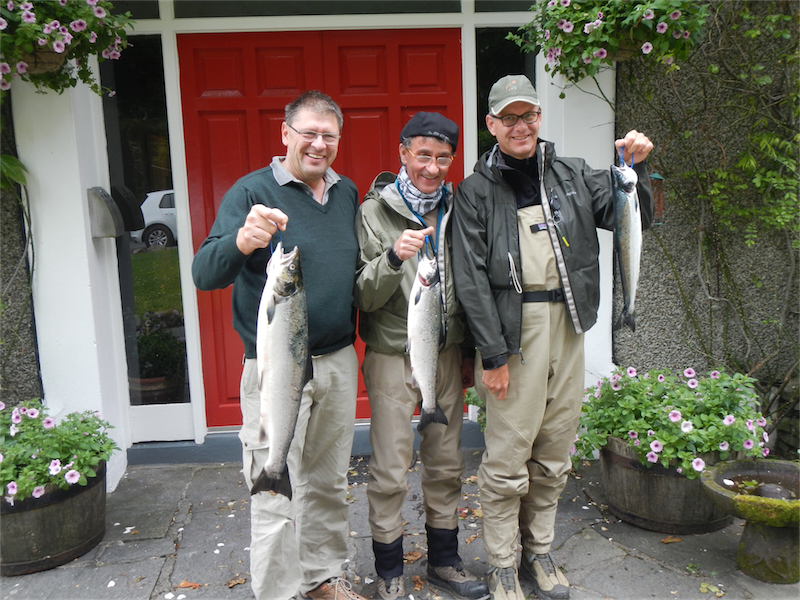 Michael Van Mourik had three, from Deadman’s, Grilse and Whin weighing in at 4lbs8ozs, 5lbs0.5ozs and 7lbs6ozs, all on a Lemon and Grey; Mark Corps had two, one from Quarry Run of 3lbs7ozs on a Black shrimp and one of approx. 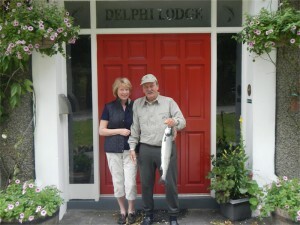 3lbs8ozs from the Kings pool on a non descript; Barbara Ceillier also had a fish of approx. 3lbs from the Turn pool on a Cascade. There were also two off Fin, with Myles Kelly landing a lovely fish of approx. 3lbs on a Yellow shrimp and finally Reinhard Mittmann had a fish of 5lbs15ozs from the Stream on a Collie Dog. 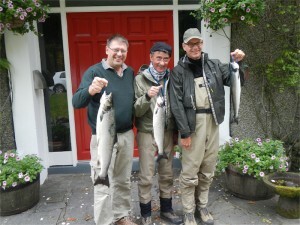 From Sunday we had a group of experienced German anglers, who it must be said are doing rather well with so far. 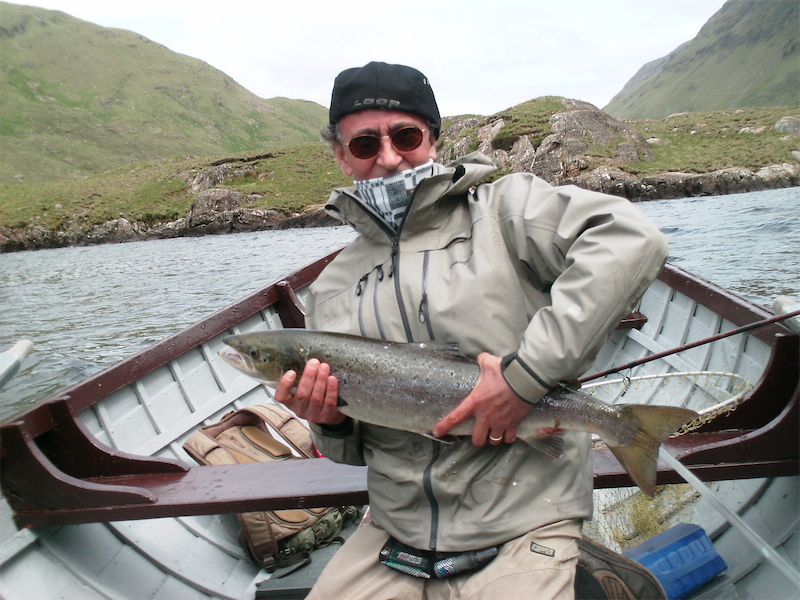 There were 10 landed on Sunday, five off the river, four off Fin and one off Doolough. Martin Nolde had two from Finlough including his first ever, a fish of 4lbs10ozs on a Collie Dog. Johannes Hipp also had two off Fin of approx. 4lbs and 9lbs11ozs, the latter on a fly he tied and named himself, Hipp’s Revenge! 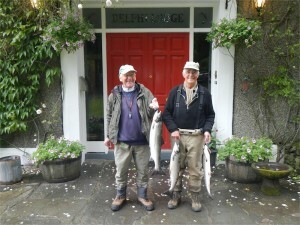 Reinhard Mittmann and Fred Possinger also landed fish. 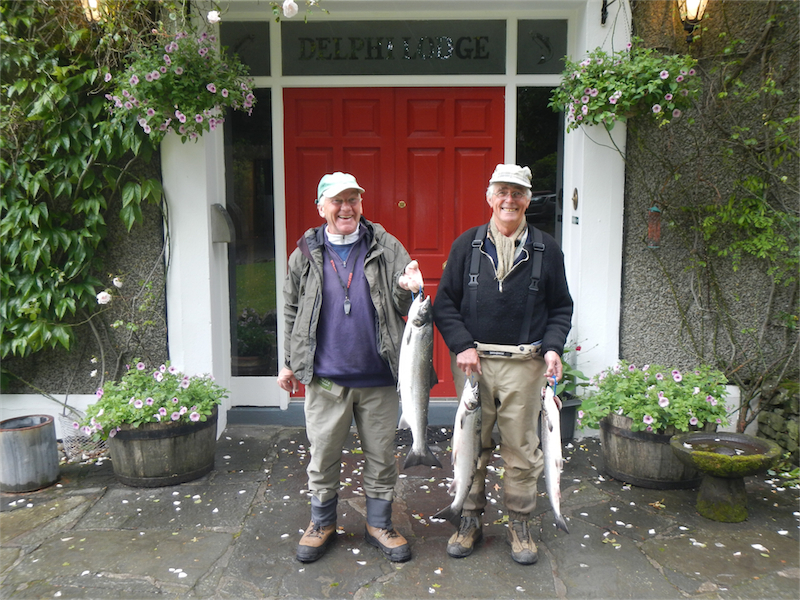 Yesterday was a little quieter with five fish landed, three off the river including Johannes Hipp, Benny Weltz and Fredo Diettrich, all fresh sea liced grilse and two off Fin, taken by Martin Nolde and Johannes Hipp. This morning, despite numerous fish being seen and lost in the river we only landed one, a small grilse of approx. 2lbs8ozs. Having already had fish from the river and Fin Johannes Hipp managed to complete the hat trick on the system when he landed a fish of approx. 9lbs on Doolough this afternoon. As of time of writing that’s it, but I’m sure we’ll manage to nab a few more before nightfall. Hopefully the steady run will continue. The water is at 25 and will drop, but slowly.